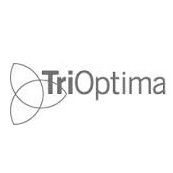 The ICAP Group announced today that TriOptima, its OTC derivatives post-trade services provider, has eliminated $500 trillion in notional principal outstanding since it introduced triReduce, its multilateral compression service, in 2003. Last month, when ICAP released an interim management statement relating to 2014 Q1 performance, the group reported double-digit revenue growth in its Post Trade Risk and Information division with high demand cited for TriOptima’s compression. Now we know just high that demand was. ICAP explained that this milestone figure includes cleared and uncleared trades across a broad spectrum of instruments including cleared interest rate swaps and uncleared interest rate swaps in 27 currencies, credit default index and single name swaps, and commodity swaps. When TriOptima released its compression figures this January for 2013, it stated that during the previous ten years, meaning since the launch of triReduce in 2003, OTC derivative market participants have eliminated about $375 trillion in notional principal outstanding using the service. This means that in the first seven months of 2014 the service compressed about $125 trillion, a third of what it accomplished in a decade. According to the announcement, triReduce currently offers compression in cleared and uncleared Interest Rate Swaps including Overnight Index Swaps, Cross Currency Swaps, Credit Derivatives and Commodity Swaps. Inflation Swap and FX Forward compression cycles are to be introduced soon. Why the leap in compression? How does the compression work? Isn’t it the same as order matching in an ECN? Does BIS do something similar? Is compression necessary because these dealers/institutions are internally holding onto the risk (obligation, promise to buy/sell the currency) vs just passing it on in some ECN environment? I thought the Bank for International Settlements already did this ‘compression’ on a daily basis. I suppose others can do this also. What would it take to qualify as a ‘compressor’ of currency?